Starting with the first health literacy summit in 2004, Wisconsin Health Literacy has continued a successful history of facilitating a high quality health literacy conference that inspires attendees to use the information learned to make changes that can significantly affect health literacy. 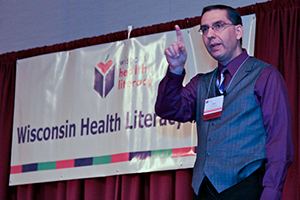 The Wisconsin Health Literacy Summit, offered every other year, is considered a major national health literacy event. The summit disseminates the latest health literacy research findings, health literacy interventions in community settings and evidence-based information to an audience of adult literacy educators, health care providers, health insurance professionals, public health staff and policy makers. 2017 Wisconsin Health Literacy Summit: "Health Literacy: A Critical Link in Patient Engagement." The 2017 Health Literacy Summit focused on how improved health literacy can help individuals become more engaged with their health and healthcare. Seven plenary sessions, including Keynote Speaker, Anne Fadiman, author of The Spirit Catches You and You Fall Down, twenty-six breakout sessions, a poster presentation and networking opportunities all provided attendees with the opportunity to learn more about health literacy and evidence-based interventions, as well as to network with experts and colleagues from all around the country and as far away as New Zealand. 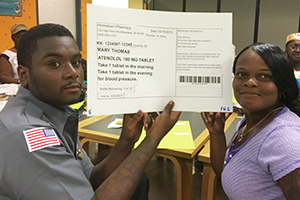 New that year was the Medication Label Summit: Improving Prescribed Drug Labels to Help Patient Understanding, which focused on the role of prescribed drug labels in improving how patients take their medicine. Summit videos: View the list of 2017 Wisconsin Health Literacy Presentation Summit videos (not all presentations were taped). You can also watch them online at https://livestream.com/DHSwebcast/events/7897668. 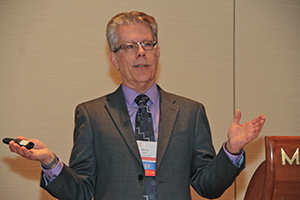 2015 Health Literacy Summit: "Better Health through Better Communication"
This conference focused on how improved health communication can lead to better outcomes. This is increasingly important in the changing health care environment in which reimbursement is closely tied to results and population health must be better managed. Six plenary sessions, twenty-five breakout sessions, a poster presentation and networking opportunities provided attendees with the opportunity to learn more about health literacy and evidence-based interventions, as well as to network with experts and colleagues in the field from many states and some other countries.